Located in Utiel-Requena, province of Valencia, between the Mediterranean coast and La Meseta. Jose Luis is the third-generation winemaker of this family run winery. He produces organic wines, following biodynamic methods. All vineyards are located in the area called “Mediodia” (Midday), which gets its name from the amount of sunshine the location receives. 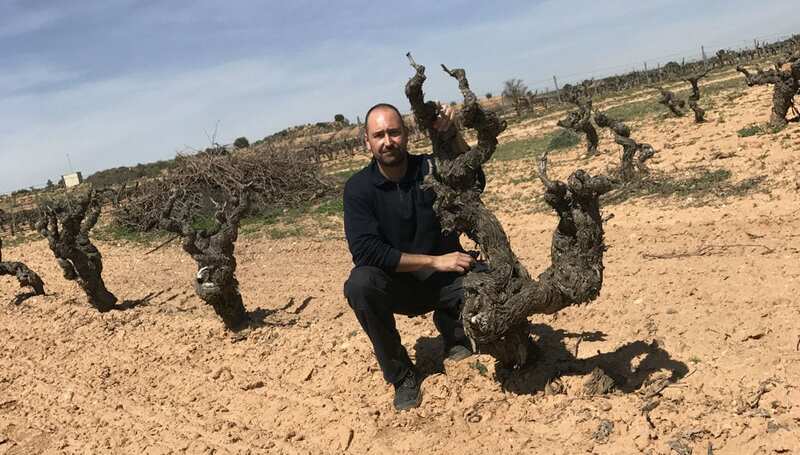 The wines are made from the native and local Bobal grape, from vines which are 35 to 100 years old, on terrain that is slightly inclined towards a high central plateau at an altitude of approximately 800 metres. The grapes are strictly selected from his own vineyards. Wind flows permanently across the vineyards naturally helping combat fungal diseases. No chemicals are needed thanks to the privileged location plus Jose Luis’ prevention methods and constant care of the vines. Neither copper nor sulphur is applied in the soil. It has Organic Viticulture Certification from the CAECV (Valencian Council of Agrarian and Organic production).